According to the technology firm CDW, by the end of next year, 75 percent of businesses will rely on video conferencing to help cut travel costs and screen employees. With the economy slowly improving, businesses are starting to have more positions available. This means a lot of interviews to find the right person for those jobs. Especially for first-round interviews, AnyMeeting can be a valuable tool. Don’t waste time making candidates come to your office, just bring them into AnyMeeting. 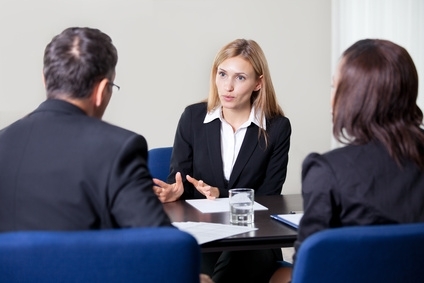 You can meet in real time and record the interview for review, which can be helpful in remembering what was discussed. The recording can also be shared with colleagues, who were not able to attend the interview. AnyMeeting’s 6-way video conferencing lets you see the candidate live, and you can quickly bring multiple people into the meeting who may be in different locations around the world. The obstacles of location and costs of travel quickly go away when you expedite the interview process, and find the right person with the help of AnyMeeting. This is very sensible advice and I’m sure will be picked up by many corporates and recruitment agencies. This further emphasises what we’ve been saying to our Executive Boardroom delegates that it is now imperative that you improve your ability to handle such a “screen presence” – it’s NOT the same as a face to face interview and may require some new skills. This next quarter we’re introducing, using Anymeeting, free learning for our participating clients from not just job recruitment but through to handling, online, vital aspects such as key account management. This sound like a great tool. Are there any recruiters or employees who could share some of the experiences they have had using this tool. This sounds just perfect for when I’ll soon be searching for my next coach and other team members.